Buy and Sell Machine Tools online. Used machinery for Sale Directory. Pipe or tube beveling is a process that allows an angle to be formed between the edge of an end of a pipe or tube and a plane that is perpendicular to the pipe surface. MSI was established in 1992 to provide well-designed, easy to use, reliable machinery. The engineering department has over 60 years of experience in real-life manufacturing applications and this expertise has been applied to design and manufacture the best equipment for the industrial fastener industry although he company now serves all types of manufacturing and distribution operations. MSI carries a line of standard machines that include the Chamfermate, Markmate, Nutmate and Feedmate machines as well as hydraulic bar shears. The company also produces custom machinery engineered and designed to meet specific customer and production requirements. The Chamfermate line of high production chamfering and pipe beveling machines are designed to deliver easy set up and operation. The machines use heavy duty components and construction techniques that provide clients with years of dependable, reliable service. Models come in a broad range of diameters and applications. These machines eliminate the need for any hand grinding or weld bevels and they are automated to provide higher yields and speeds than portable units. Chamfering and pipe beveling machines handle diameters of ½” up to 8” and can be accessorized with tooling to handle custom angles and J bevels. The line of chamfermate pipe beveling machines includes a double end machine that chamfers both ends simultaneously of bolt blanks, stud bolts, rod, bar, tubing, or pipe. These machines have bevel speeds up to 30 parts per minute significantly increasing the production of parts over standard chamfering machines. MSI’s engineering department analyze customer requirements and provide a custom solution to meet your specific application. The company will modify an existing beveling machine or design a completely new piece of equipment that fits your requirements. DWT is a family owned business headquartered in Essen, Germany. Established in 1987 to supply German mining companies they now manufacture and supply pipe beveling machines and other products throughout the world to a variety of different markets and applications. Today, the company focuses on pipe beveling and cutting equipment as well as the production of nitrogen generators. 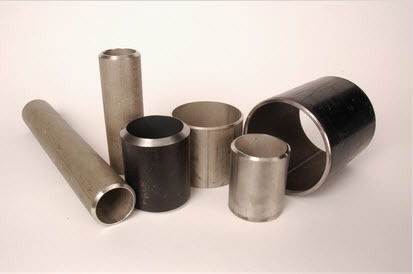 DWT specializes in products for weld preparation in pipe and pipeline welding applications. The first step in the pipe welding process is edge preparation. The DWT product line offers unique equipment and tools to handle all working steps including pipe cutting, pipe beveling, pipe alignment and pipe handling. The pipe beveling machine product line includes portable and stationary pipe beveling machines that can be ordered with either electric or pneumatic drives. The housing of the machines are aluminum with a very low weight. This makes the beveling of heavy duty pipes much easier. 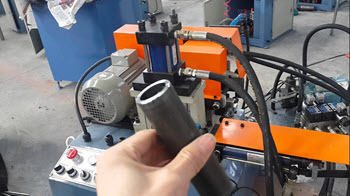 Stationary tube bevelers come in several models and can be accommodated with CNC controls, roller benches and a copying system which allows very precise machining of thin-walled or non round pipes. All models also come with a self-centering prism camp to firmly hold pipes in place as well as a large chip tray that has a separator to filter the chips out of the coolant. All MFS model bevelers also have a built-in pump for cooling fluid. Fermat on Boring Mills: Horizontal Or Vertical, Which Is Better?